Have you been playing Overkill's The Walking Dead and wondering how to unlock the Mechanics Kit, Wire Cutter, Power Kit & Chem Kit? This guide will help you get an answer to those questions and more. Each time you begin a match you can select a tool in Overkill's The Walking Dead. This is important since you can carry only one tool at a time, so ensure one ally has a Wire Cutter, Power Kit, Chem Kit, and Mechanics Kit. You can unlock more tools through Camp Upgrades. 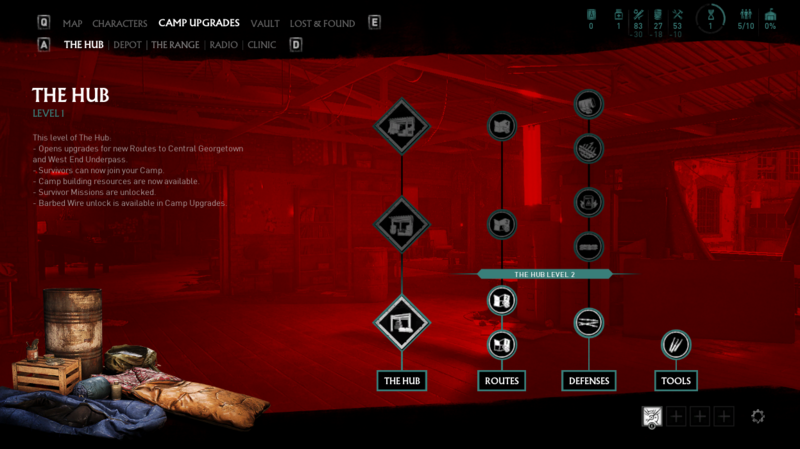 Each new branch will upgrade your camp further for more tools. The tools can be found in the last option on the lower right side.